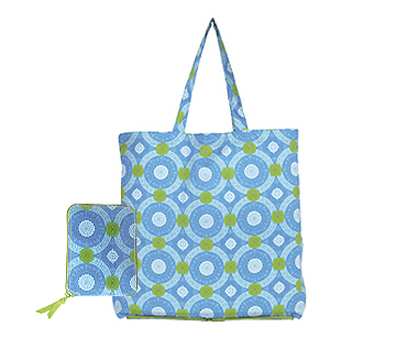 Isabelle Blue Circles Wrap Tote - Totes & Lunch Bags 25-50% Off! 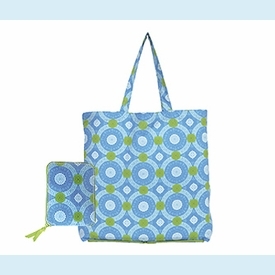 Stylish and functional, this foldable tote tucks in your purse until you need an extra hand carrying your shopping loot. Blue circles pattern by Anna Griffin. Unfolds to 14" x 16" x 5 1/4". SIZE DIMENSIONS: 6 3/4" x 5 1/4" x 3/4"